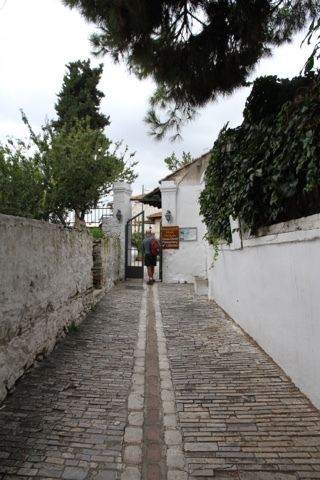 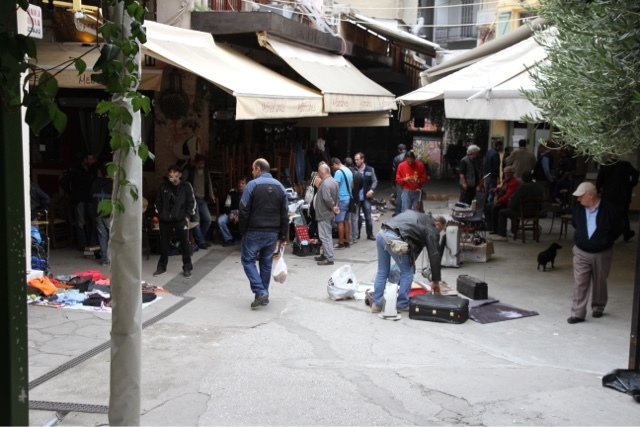 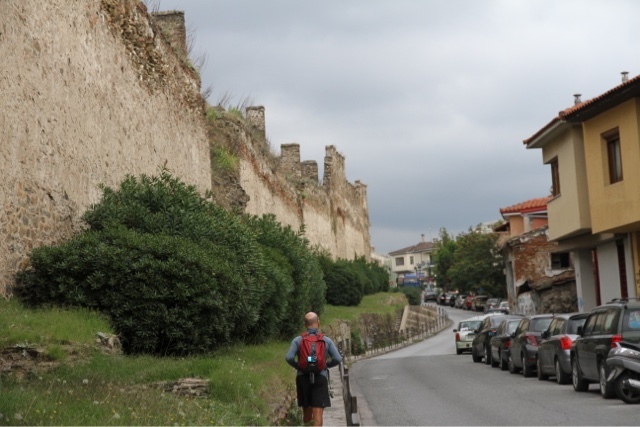 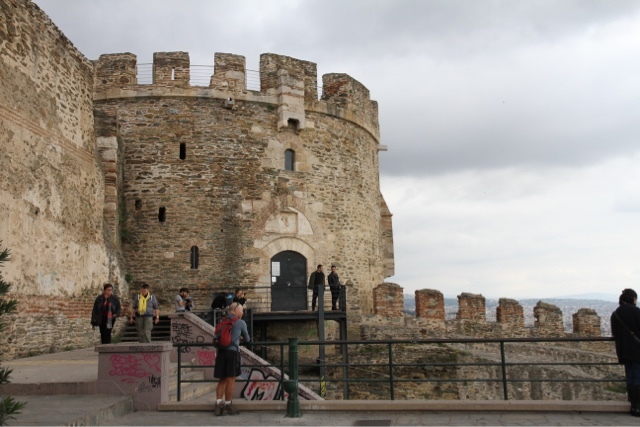 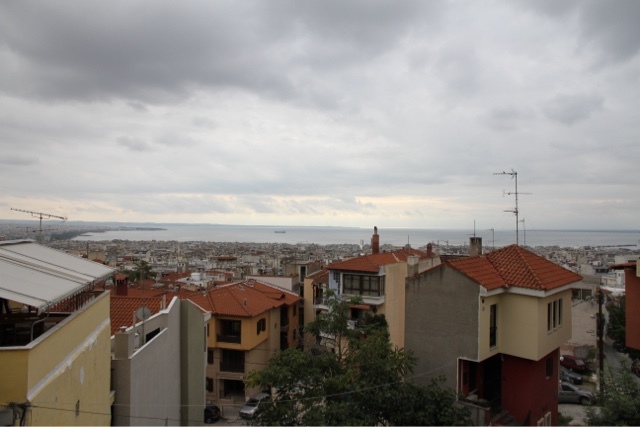 The end of our Via Egnatia walk, we arrive in Thessaloniki! 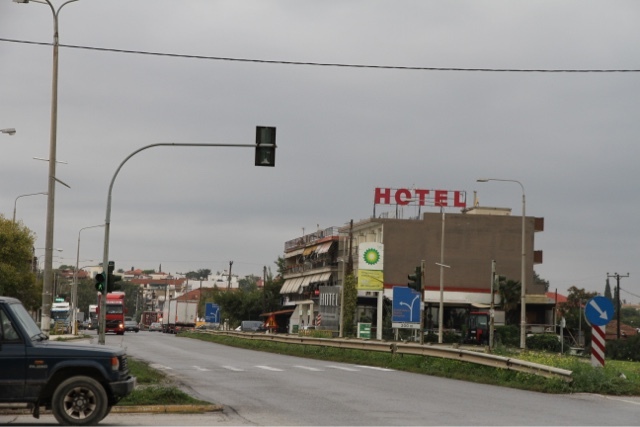 We catch a bus from Chalkidona to Thessaloniki, the bus stop is about 100m down the road opposite the hotel, nice and handy. 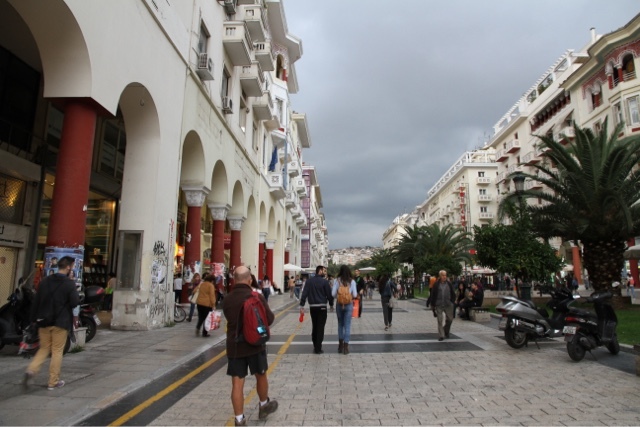 The buses depart approximately every half hour for Thessaloniki. 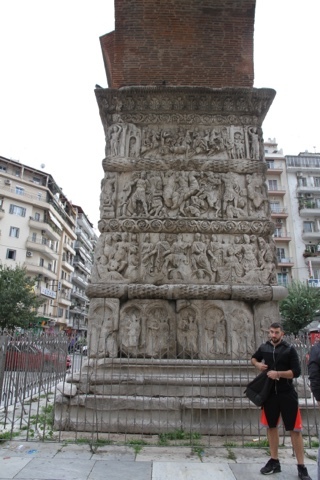 After waiting for a while, we eventually flagged down a bus 81 and jumped aboard! 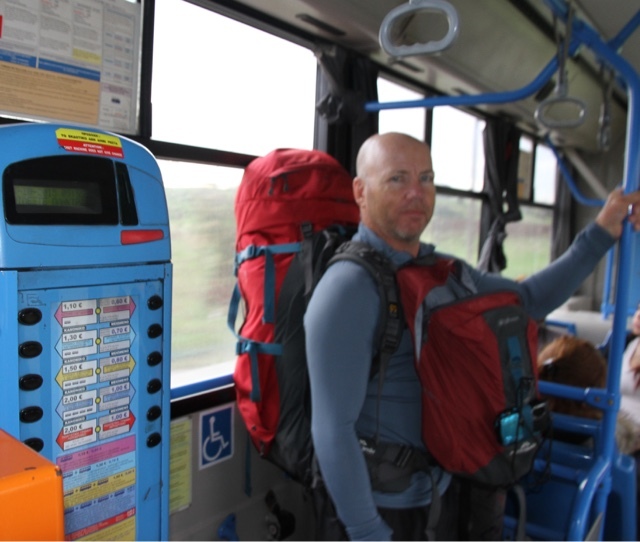 The ticket machine doesn't give any change of the bus, so you need the exact money. 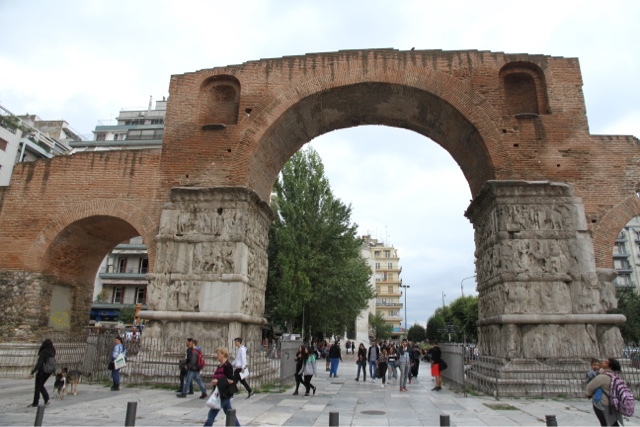 1:30€ each for the two bus rides firstly to the central Thessaloniki bus station, then we went to the centre, to Egnatia Street, Thessaloniki on a bus number 12. 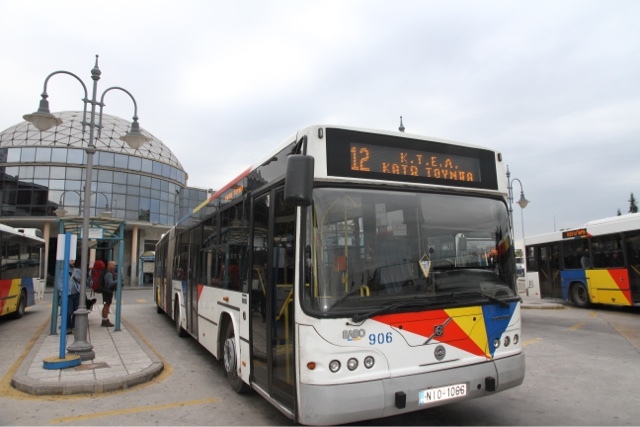 Changed bus at the central bus terminus for a number 12 bus. 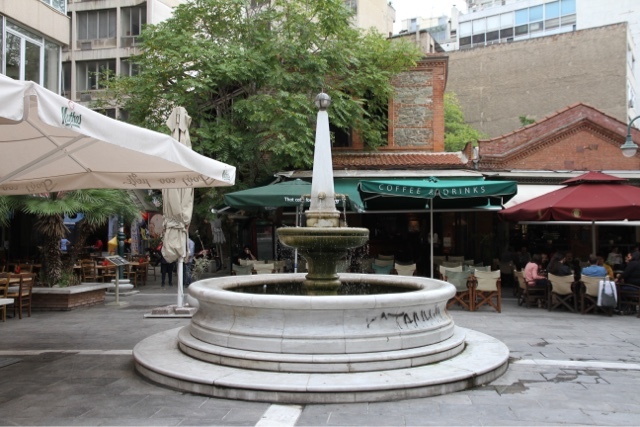 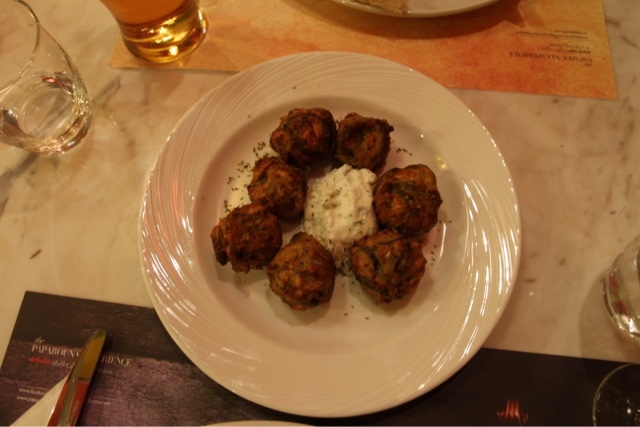 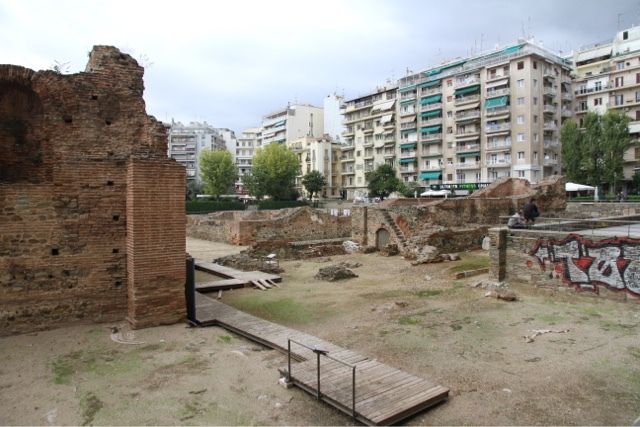 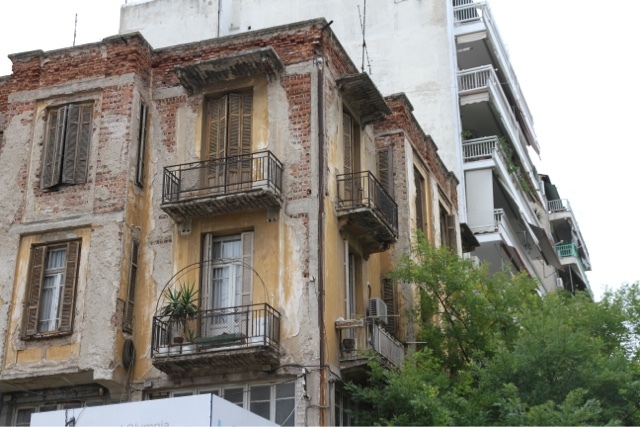 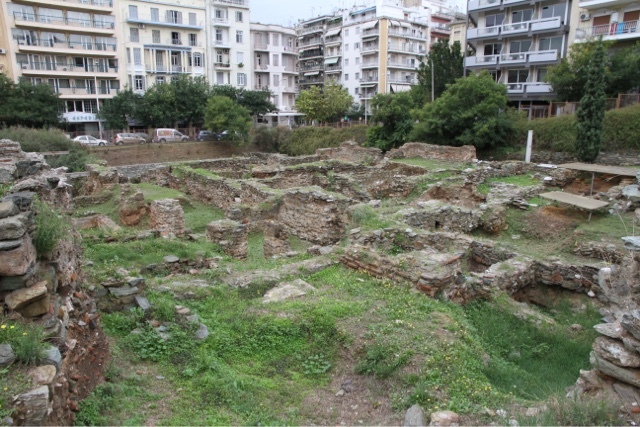 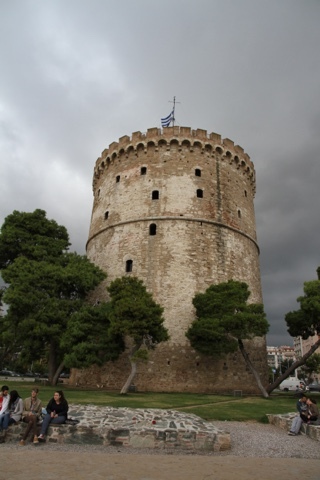 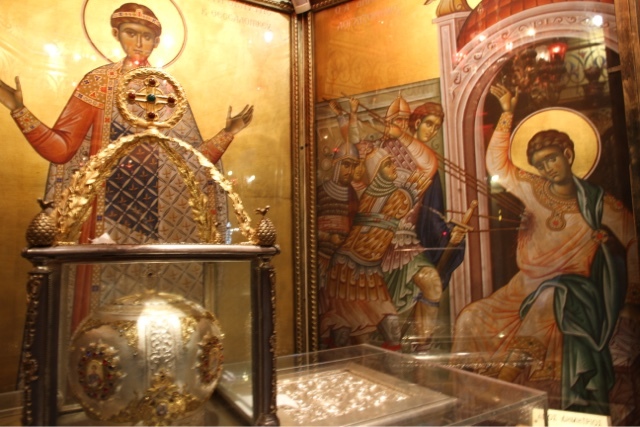 Thessaloniki has had such an ancient and tumultuous past, it's been conquered and occupied so many times over the centuries some of the secrets require a little delving and deeper exploration to discover them. 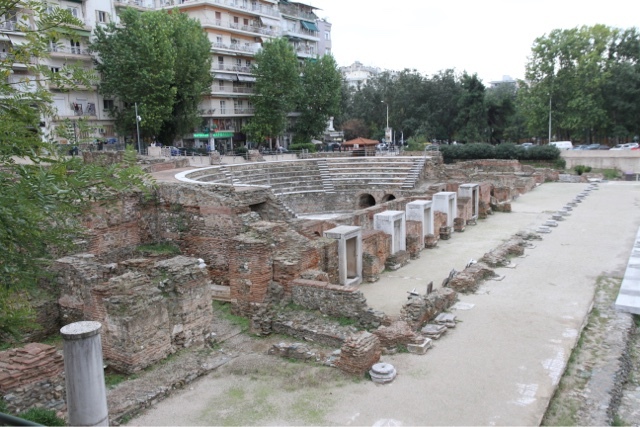 A devastating fire in 1917 destroyed much of the city. 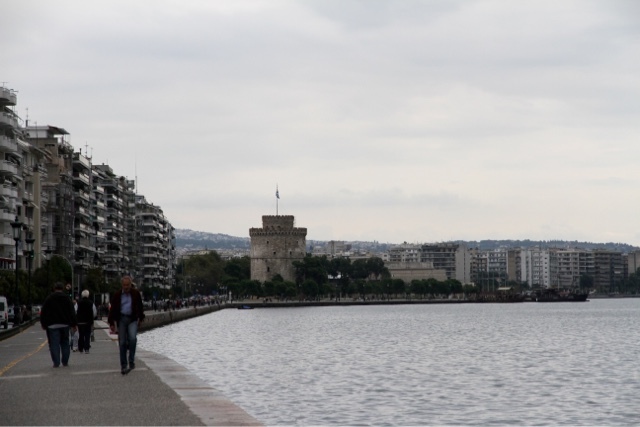 The waterfront with the white tower in the background. 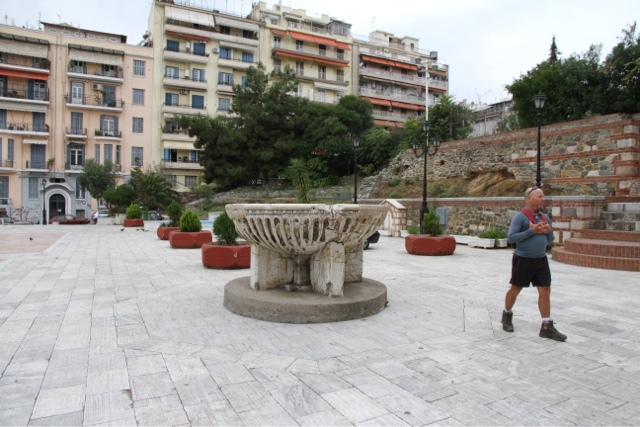 Walking up the Plateia Aristotelous, a section of the city rebuilt after the great fire of 1917. 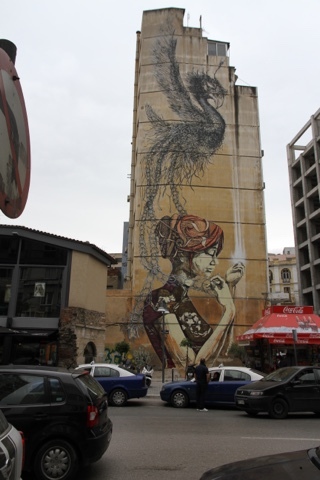 There's some amazing street art in Thessaloniki! 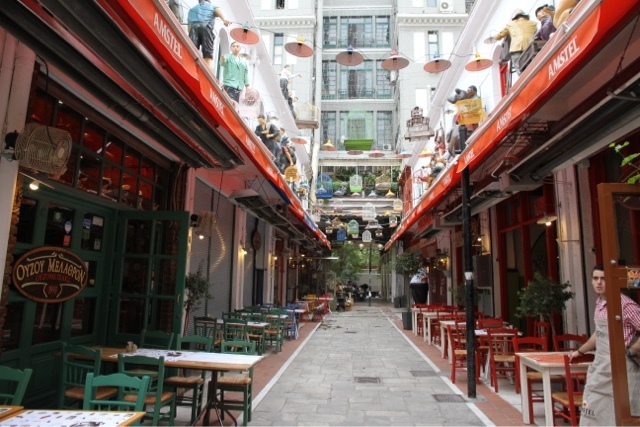 A beautifully decorated alley with restaurants, decorations are in the theme of an old travelling circus. 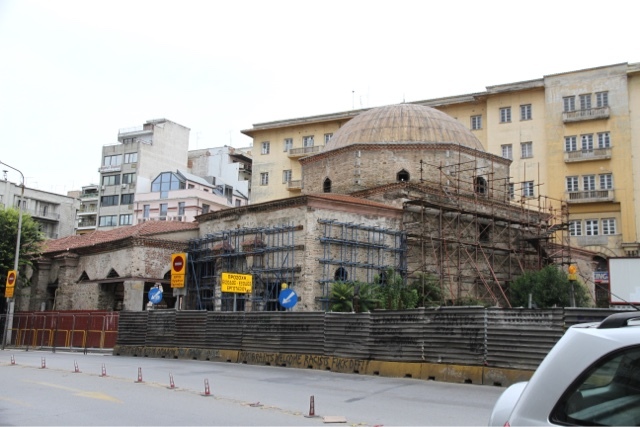 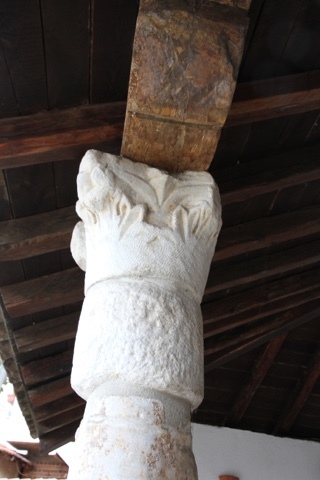 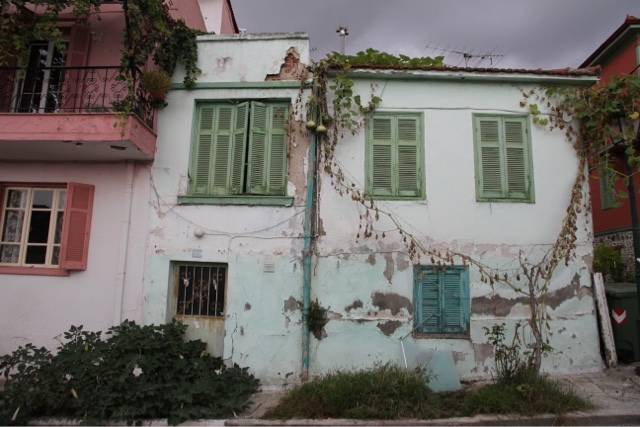 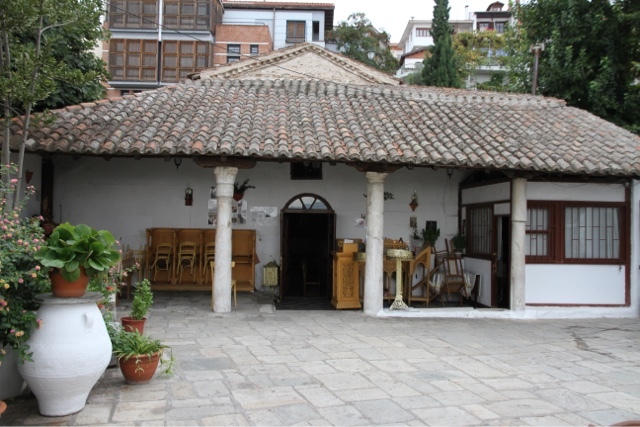 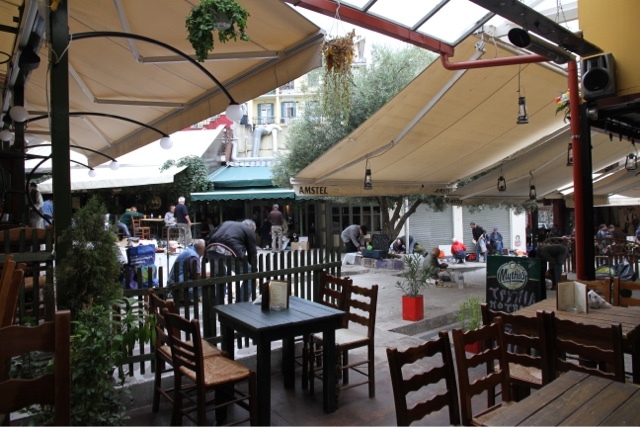 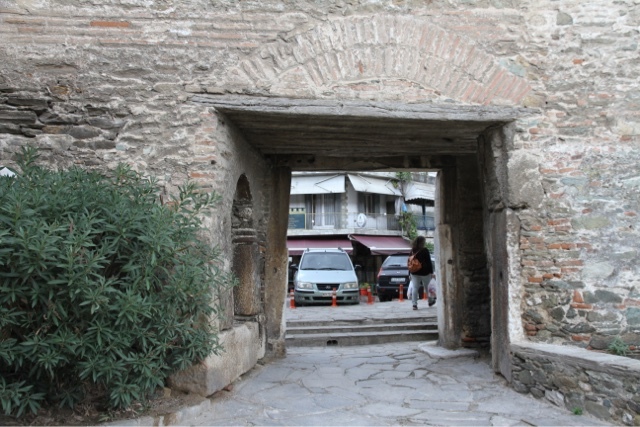 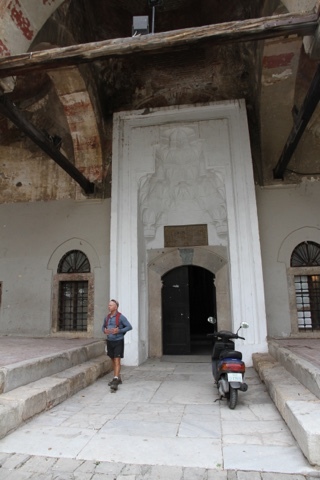 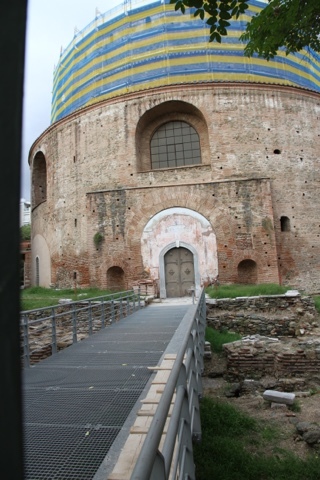 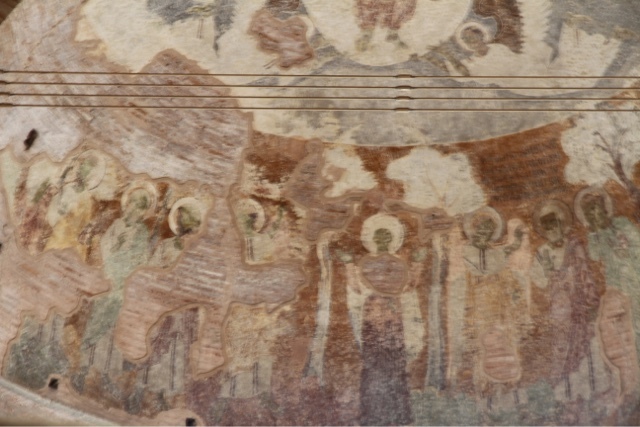 Opposite the mosque, under the Egnatia Street. 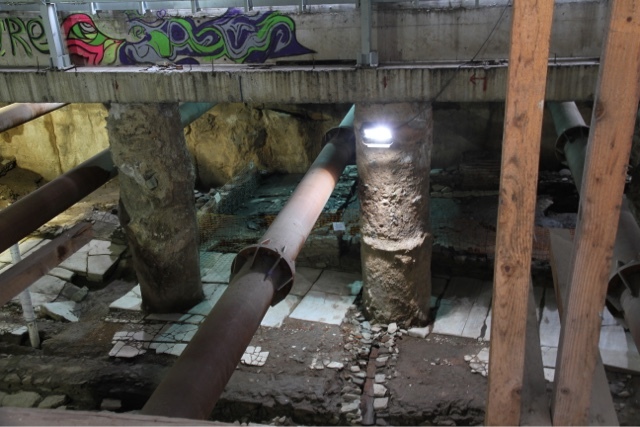 The underground metro rail line construction has been stopped for a couple of years while deciding what to do about the discoveries of ancient archeological sites . 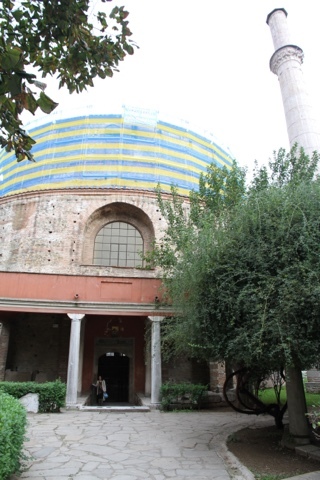 the Alatza Imaret Mosque, the minaret was destroyed. 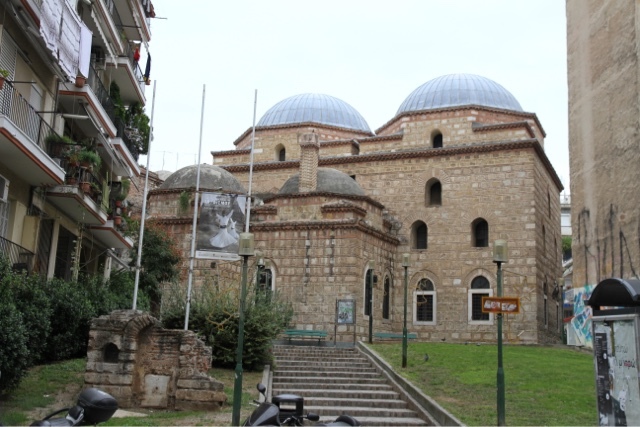 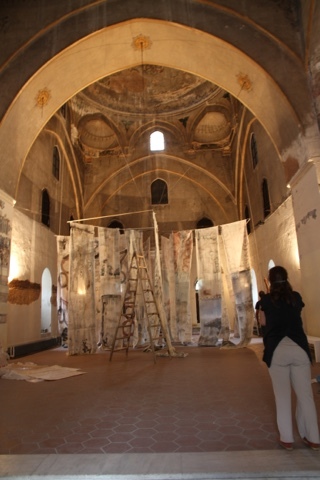 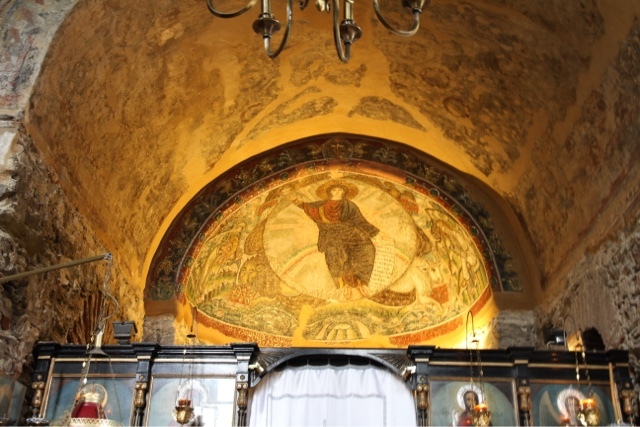 The church dates from the 5th century, only part of the church remains, some of it was destroyed during the Ottoman times. 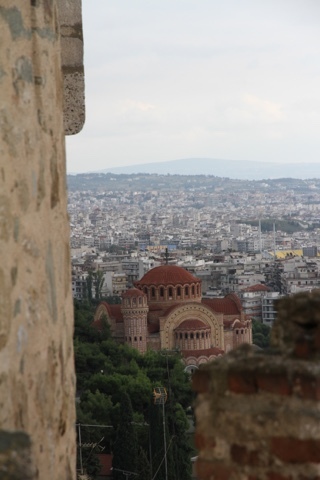 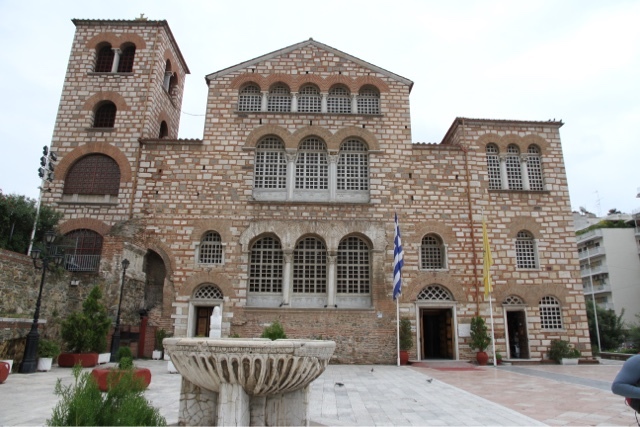 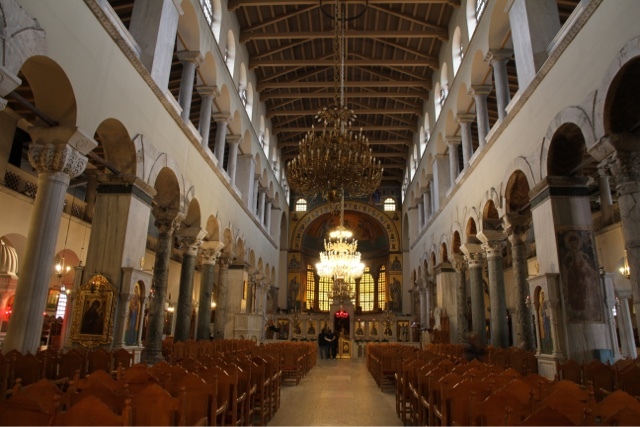 It's my favourite church in Thessaloniki! 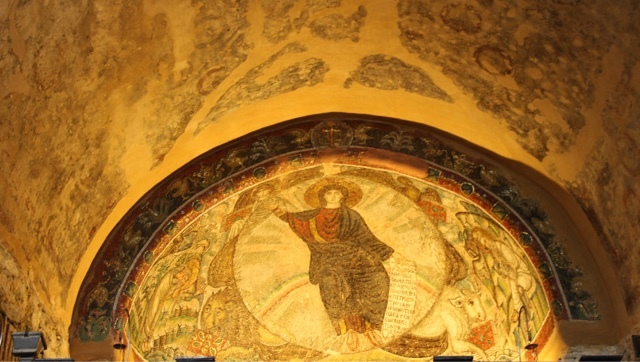 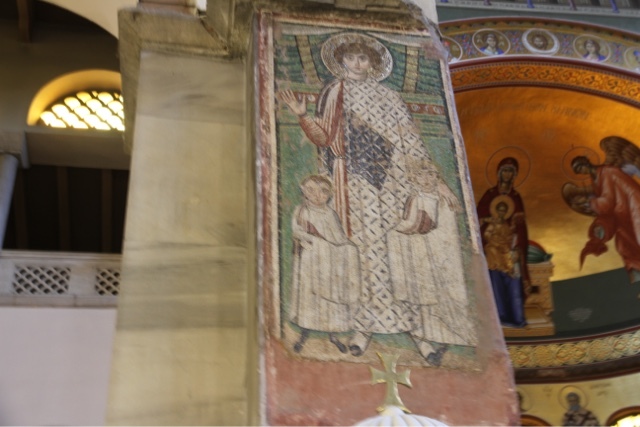 There's so much symbolism and stories incorporated into this mosaic, the caretaker sat in the church with me and explained some of the history and symbolism. 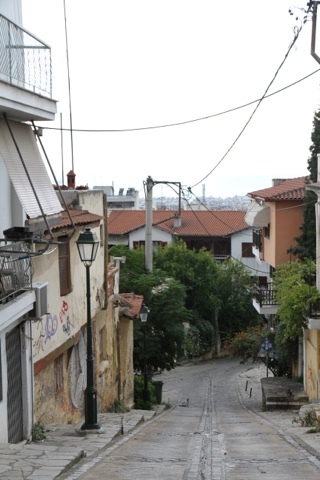 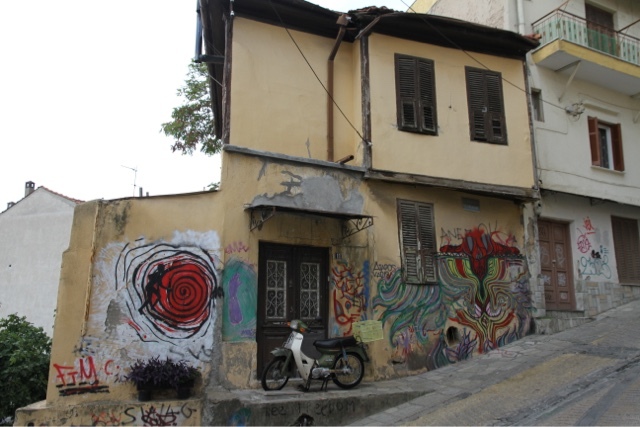 Walking long the narrow winding streets of the old sections of Thessaloniki, Ano Poli that survived the great fire. 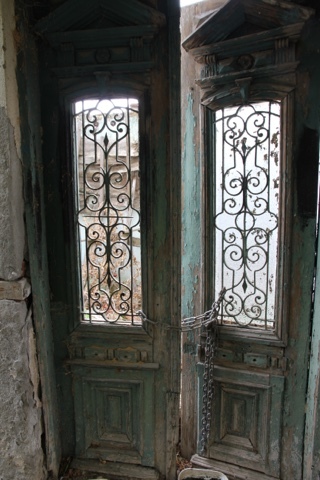 Lovely doors in an abandoned building. 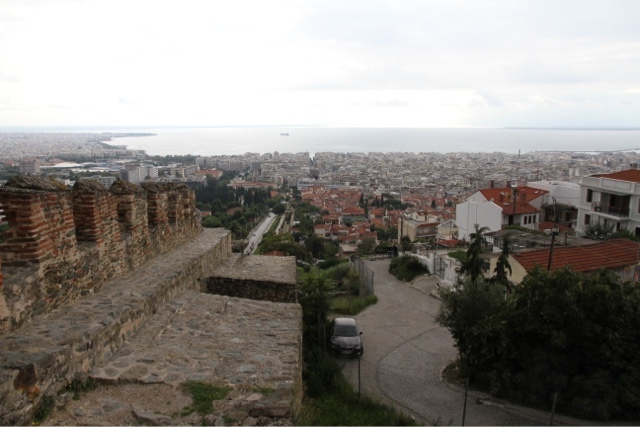 View from the Trigonio Tower towards the harbour. 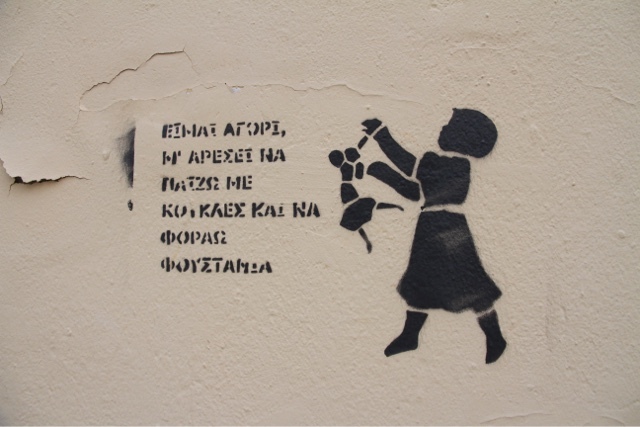 This message was painted in lots of places around the old town. 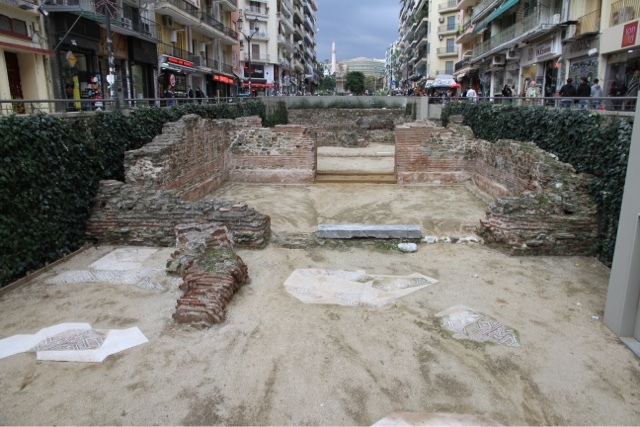 Excavations at the rotunda reveal more earlier buildings and archeology. 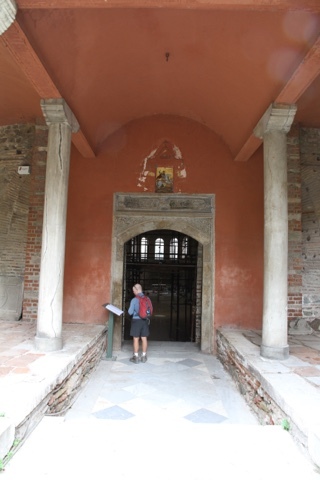 So many detailed carvings on the Arch of Galarius. 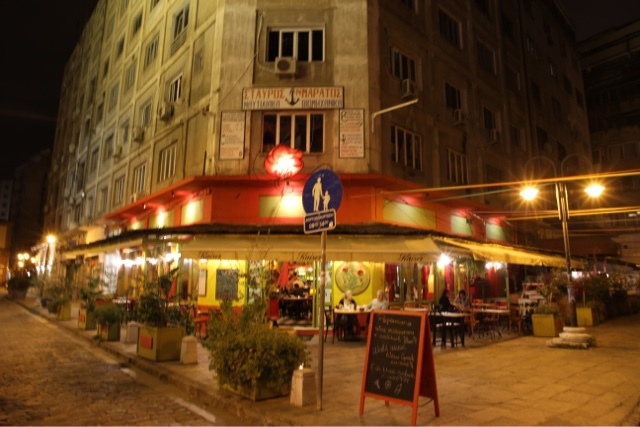 8:30 pm!! 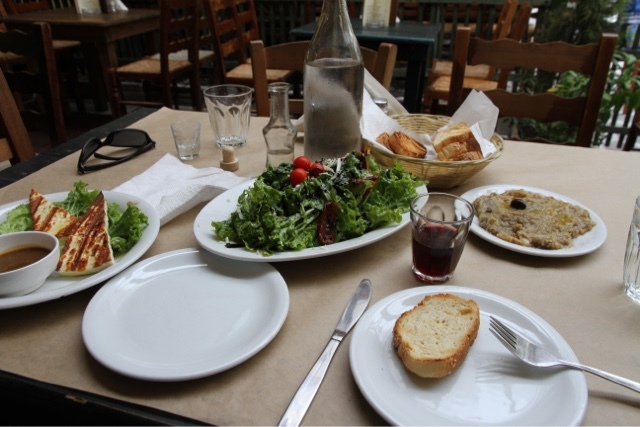 We must be going local, waiting until after 8 pm! 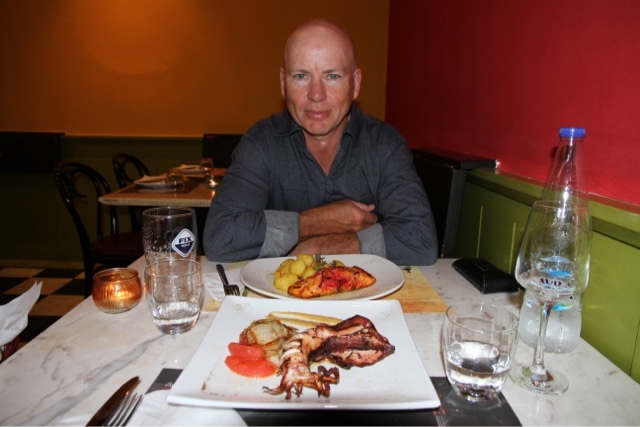 Grilled squid stuffed with quinoa and vegetables flavoured with tAragon, spices green pepper sauce, garnished with caramelised chicory and tomato confit.